Finally! I've been drawing this big painting for a while already, and it is very important peace of art for me. 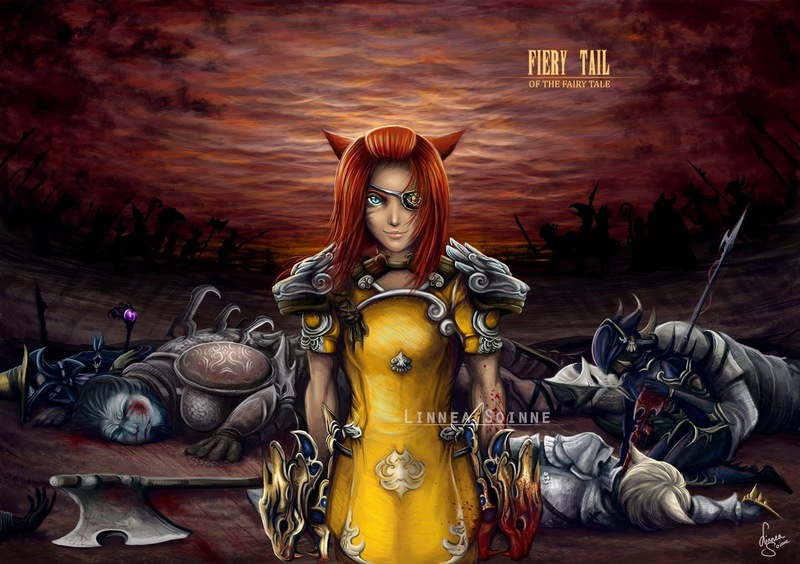 The world in this painting is from the Final Fantasy XIV game, and the character in the middle (Fiery Tail) belongs to my dear friend. This painting was gift to my friend, and at the same time it is assigned for the FFXIV game development team. Feeling in this painting is a bit different from the incoming game, but that is on purpose. I wanted to create a bit cruel, fierce and strong picture from this Fiery Tail character. I hope you all, The Final Fantasy fans and anyone else like it! You need to see this in bigger size, click it on my Portfolio or DeviantArt, thanks!